Business description - Ashoka Metcast is currently engaged in trading of structural steel products such as Round Bars, Flat Bars etc. and through our wholly owned Subsidiary, SGRM we are proposing to manufacture structural steel products like TMT bars, angles, channels, MS Bars etc. The company plans to leverage its group and promoter networks in the real estate and infrastructure space as well as strong balance sheet situation to increase its presence in the structural steel market of Gujarat and Western India. The company commenced its trading operations in September 2017. The company is in the process of building a structural steel focussed trading vertical as well as developing a strong team to cater to its proposed increased operational needs. Further, the company has recently acquired 100% stake in Shree Ghantakarna Rolling Mills Pvt Ltd (making it its wholly owned Subsidiary Company). The subsidiary company owns a rolling mill having aggregate installed capacity of 12,000 tons; however the same has been non-operational for past 16 years due to internal financial constraints as well as market conditions. Post acquisition, it has begun the process of revamping as well as expanding the production facilities and the company intends to begin the production in April 2018 with an aggregate installed capacity of 18,000 tons per annum. As on 30 November 2017, the company employs 8 people on its payroll. 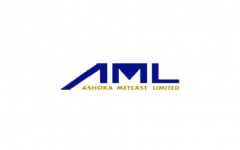 Ashoka Metcast IPO allotment status is now available on Bigshare Services' website. Click on this link to get allotment status. No one should be surprised with the listing but it is just unbelievable this company got 1.5 times subscription. Who are these people giving away their money?? My income tax statement is much better than this company’s record for the last year and I just can’t trust this year’s figures. Looks all made up. Haha. You are absolutely correct, numbers in sme ipos are totally fudged. You just can’t trust the financial figures. For some reason, all the companies have good numbers to show in the latest period!!! true mridul…………. they think public are fool.